Heat gas or charcoal grill. Place hot dogs on grill over medium heat. Cook uncovered 10 to 15 minutes, turning frequently, until hot. 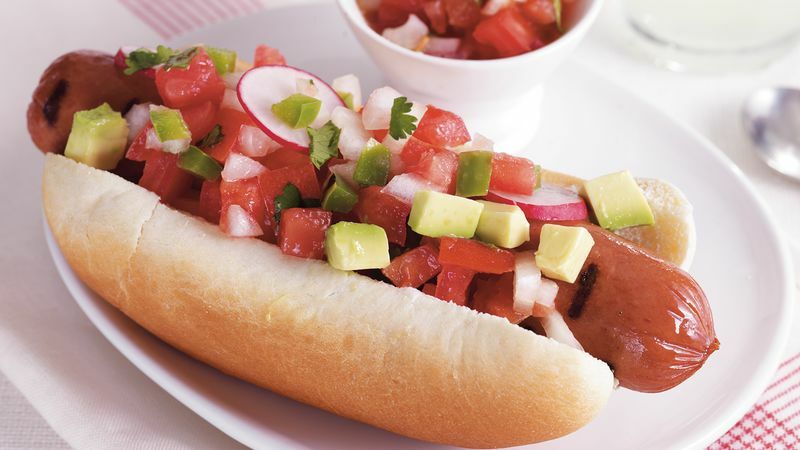 Place hot dogs in buns; top with remaining ingredients.